Share the post "The Crow King"
My day passed quickly, and both closings scheduled took place without the slightest of hitches. One of my dear clients gave me a gift that I’ll have to take a photo of and share with you all another day. Both closings were bittersweet because I got to know the sellers and re-familiarize myself with the buyers whom I’ve worked with in the past. After today’s closings, I told them all we really must stay in touch. For both transactions it seemed as though the sales and purchases were plainly meant to be. Isn’t it funny how a home can be on the market at the right time, be in the right place, and someone who’s really not looking, takes notice and buys it to where you wonder, “The timing of this happening was just a bit too creepy cool.” I would say both of today’s closings had the hand of fate involved. 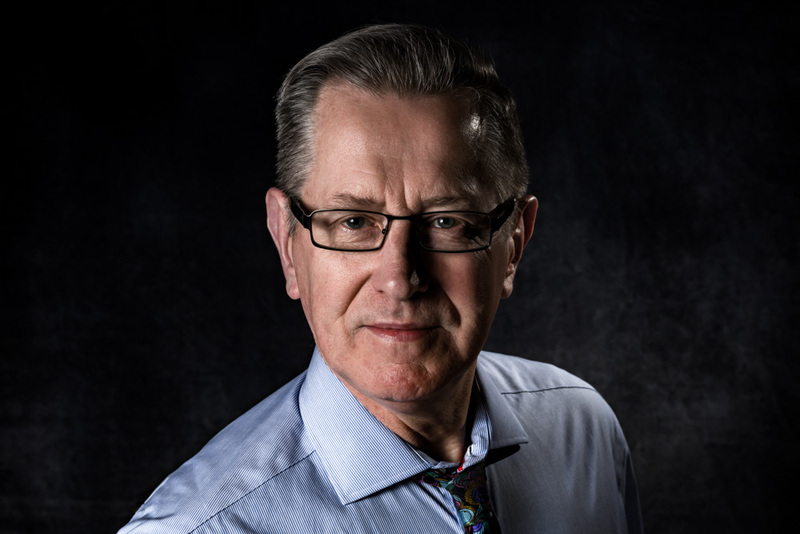 Did I ever get my eyes widened by a true story told by one of my long-time clients today. It all started when I was talking about there being a time many years ago when a bounty was offered on crows, and if you’d manage to kill one, that’s all you had to do was supply its feet to get something like 50 cents. I went on to say our North Iowa Counties should reinstate paying a bounty on them because of how their numbers have increased every year. When I finished, he in turn, told his story. He proceeded to tell me his brother who did quite a bit of traveling for his work encountered a man with the nickname, “Kenny the crow king”. Kenny lived on a farm somewhere in southern Iowa, and had a part-time job as a paid guide for crow hunters who would sign up for one of his tours when crow hunting season opened. Keep in mind, I’m leaving some of his story out because if I didn’t, I’d be writing pages, so I’m just narrating the highlights of his story. One Fall day a friend of his brother’s called and begged for his accompaniment on one of Kenny’s guided hunts. He was a bit hesitant about it all, but finally agreed. After arriving at Kenny’s dooryard, the handful of hunters followed Kenny’s instructions and geared up with their best hunting camouflage along with shotguns in hand and boxes of shells under their arms. After Kenny’s meticulous inspection, they were driven off to a remote wooded region in Southern Iowa. When they arrived, and started setting up their positions, Kenny pulled out of his trunk an electronic contraption and placed it where it couldn’t be seen from above. He then turned and said to everyone, “Take your positions boys.”, and walked over to that instrument and flipped its switch. Now keep in mind, I’m only relaying what happened next. The crows arrived in numbers reminiscent of the movie “The Birds” and continued to come to where there were hundreds diving, circling, and perching on branches as close they could get to that loud bird voice coming from Kenny’s box. Thinking about it after he left, I began to wonder if those four scouts must’ve planted something in their flock’s brain with their crow chatter to where the rank and file were willing to loose their lives. What an amazing story of Kenny the crow king! Seeing the number of crows we have in North Iowa and how they are growing, I think we need to find someone like Kenny so to reduce the number of those nasty birds in a great big way. 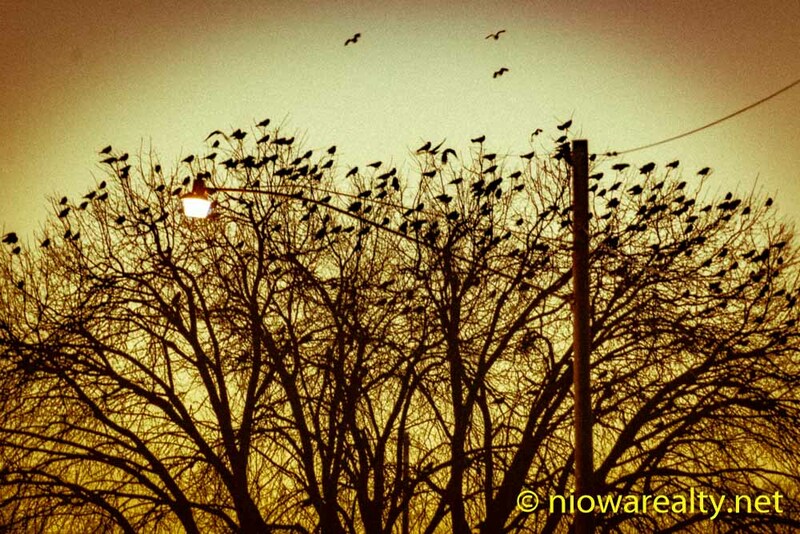 The above photo is one I took before dawn this past winter of trees in our Downtown blackened with perched crows. Let’s get busy and find another Kenny the crow king!